Every Christmas, my father-in-law dumped out his spare change drawer and gave the cash to my husband and me. Generally, his simple spare change savings tactic amounted to a very generous $200 gift to us. And that’s just from one farmer’s change. Now imagine if you and your family were to do the same; every time you spent money, you saved the change. Perhaps you put it into a large mason jar or (if you had a really good year) into a five quart ice cream pail. How much do you think that change would amount to at the end of the year? Let’s say you alone made just three, small transactions per day and pocketed the change. In this example, we’ll figure each transaction netted you 50 cents in change, for a total of $1.50 per day. Over the course of 30 days, you would have saved $45. 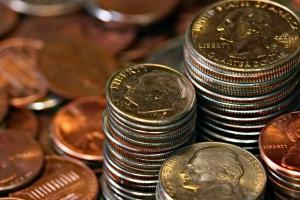 Saving that $45 every month for a full year would give you $540 worth of pennies, nickels, dimes and quarters. Now imagine that you and your significant other both saved this amount. Together, you saved $1,080 in one year, without even trying. Of course, change isn't always physical. What about you debit card junkies? How can you cash in on this deal? One of the easiest ways to save this money is to simply balance your checkbook using whole numbers. Instead of entering in a $15.46 purchase, simply write $16.00 even. Not only will that make balancing your checkbook quicker, it also creates a mini nest-egg in your checking account. Bonus: you've cushioned your account and made overdraft protection unnecessary. Some banks have also caught onto this idea. Many now offer sign and save programs, which will round up your purchase amounts to the nearest dollar and deposit the change directly into your savings account. This savings can also be linked as your overdraft account, allowing you to keep the virtual change without virtually – or literally – overdrafting you. Whichever way you decide to save your change, physically or virtually, you now have the opportunity to take it one step further: invest that cash earned into an account that will earn for you! CDs, money market accounts, stocks and bonds can all deliver a bigger punch to your annual spare change savings. If you're looking for a way to save money, you may not have to look any further than your coin purse. 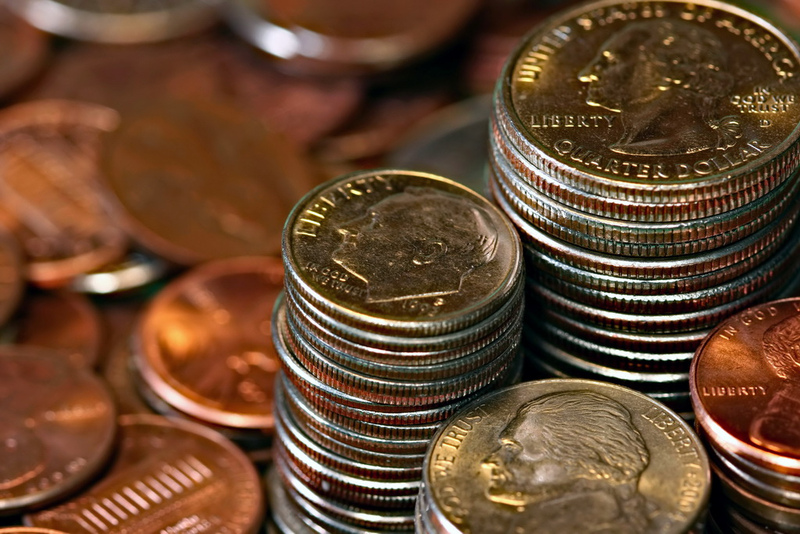 Without changing your spending habits, you can begin to save your pennies and accumulate your spare change into hefty savings and awesome investments. I just posted about this earlier this year. I am depositing my loose change into a savings CD every month and tracking the total. I'm interested to see how much I manage to save up over the course of the year. I think that people are very surprised at how much leverage small amounts have over a long period of time. It is well worth it to plug the leakage of change on a day by day or minute by minute basis. Add it up, like you did, and the amounts get large! Just like you collect wealth from the change leaking out of your life, combine that with collecting the little leaks of minutes and days in your life. Both together will make you rich! Nice article. Hi, Alex! I'm glad you liked the article. :) The time value of money is definitely not something to be forgotten about. I loved the picture in your post, by the way. Talk about mischevious determination! We keep a change can next our bed and put any change we have from the day in there. Then once or twice a year we roll it and take it to the bank. It really does add up.